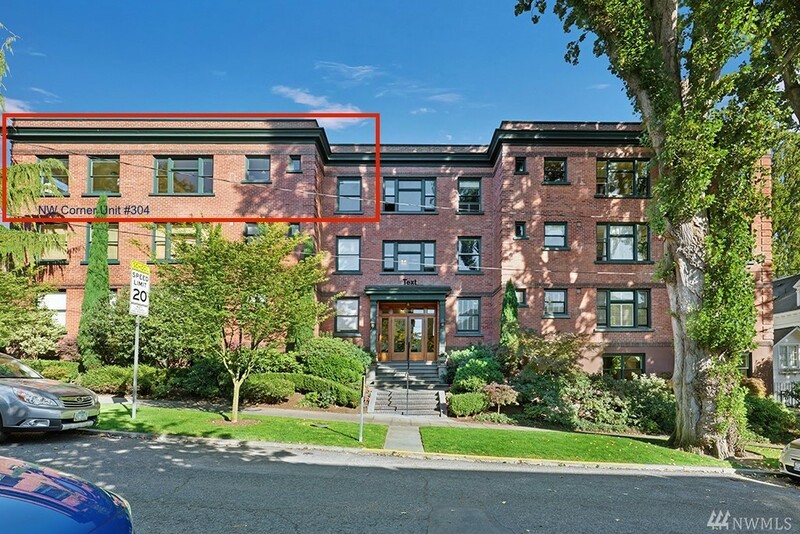 Enveloped in brick and located on a tree-lined street on the desirable south slope of Queen Anne, character and charm of the past meets the demands of todayâs lifestyles. The Character: spacious rooms, oak hardwood floors, crown molding, 9â ceilings and a wall of windows (w/ peak-a-boo Sound views!). The Function: a Great Room, master bathroom, and secure parking garage. Situated on the top floor facing west, youâll be living in the light year âround at this most royal of courts; Highland Court. Selling Office: Windermere R.E. Wall St. Inc.